Young central midfielder George was from Bedford and joined Diamonds youth set up with the Under 14’s. He continued his apprenticeship with Diamonds and quickly made a good impression on and off of the pitch in the early part of the 2008/2009 season. 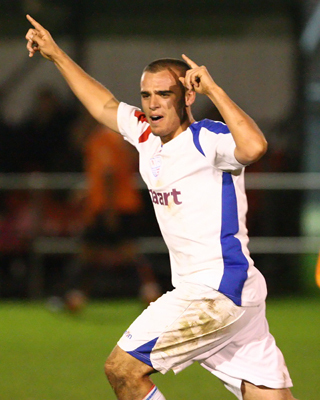 George regularly travelled with the First Team squad and made his debut in September 2008 against Rothwell in the Hillier Senior Cup – all his four appearances were coming off the bench. Comfortable playing at either right or left back, he was given work experience with UCL side Northampton Spencer during November 2009 in order to gain more experience of men’s football, and also to Spalding United later in the season. He was released at the end of his scholarship in May 2010, and joined Southern League Division One Central side Biggleswade Town in August 2010. He joined Spalding United later in the season before signing for Deeping Rangers in July 2011. 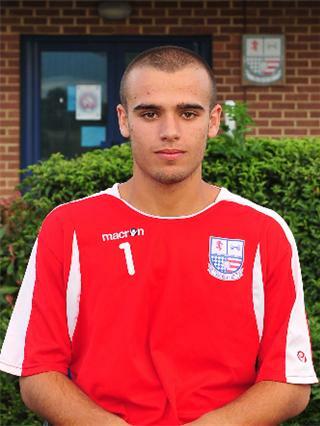 On 6 July 2012, it was announced that George had signed for the newly formed AFC Rushden & Diamonds. He left after 9 appearances, and joined Bedfordshire County League side AFC Oakley Sports M&DH in February 2013. The side subsequently became AFC Oakley M&DH the following season. He represented the Bedfordshire FA in the Inter League Cup in 2017.